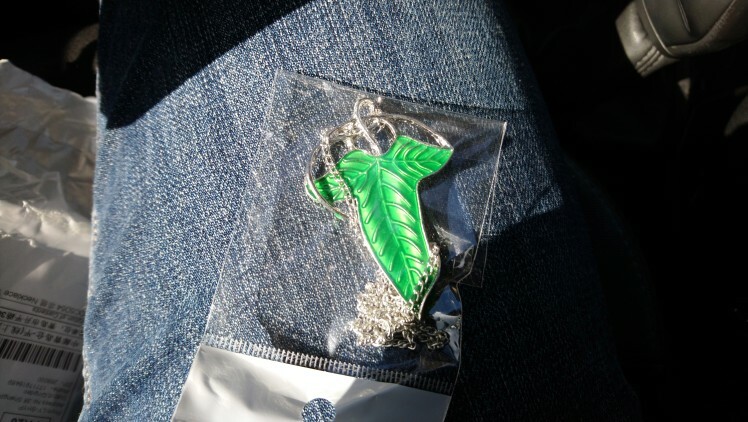 Lord of The Rings fans will love this attractive Elven green leaf that can either be worn as a necklace or a brooch. 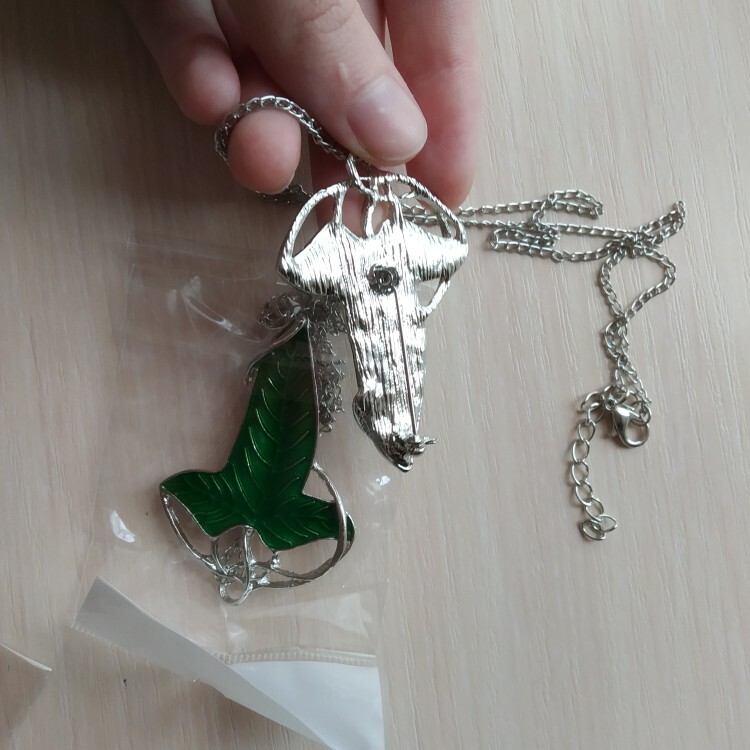 The pendant is made from a metal alloy measuring roughly 1.5" x 2.2" (4cm x 5.8cm) and weighing around 15 grams. 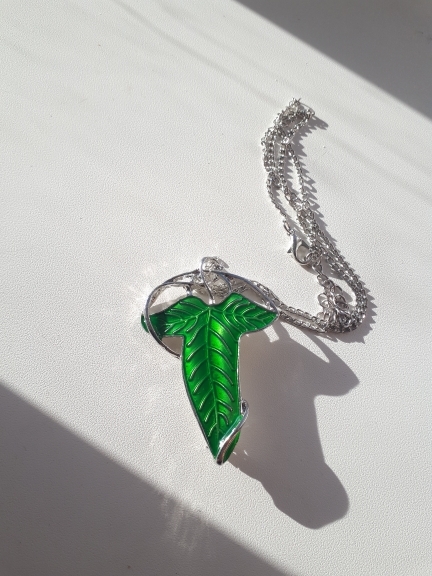 The pendant hangs on a chain link style necklace measuring about 19.5" (50cm) but can be removed if you prefer to wear it as a brooch. A popular piece due to it's beauty and flexibility of function. 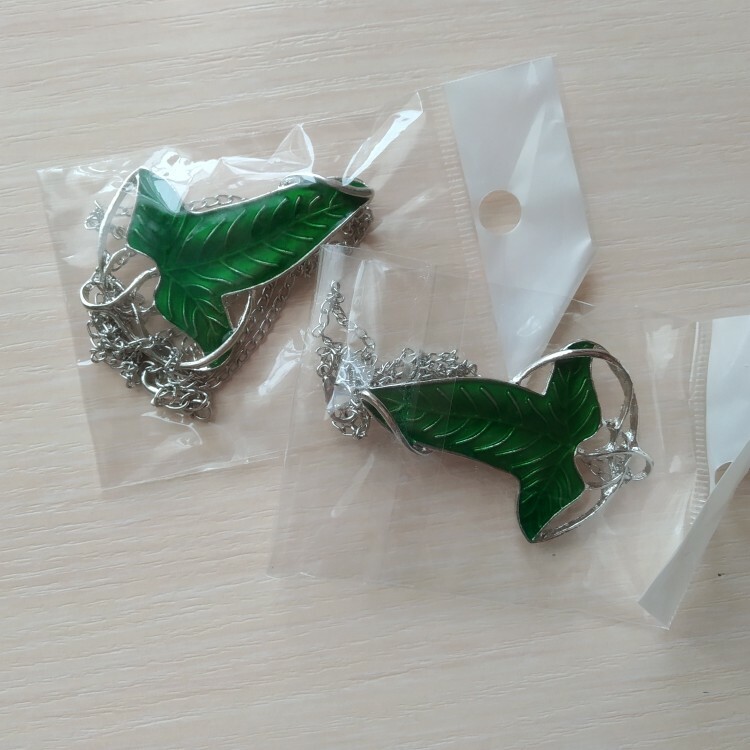 Lord of The Rings Style Elven Leaf Brooch Pendant Necklace Pin ships directly from the manufacturer and shipping is free. Excellent item! 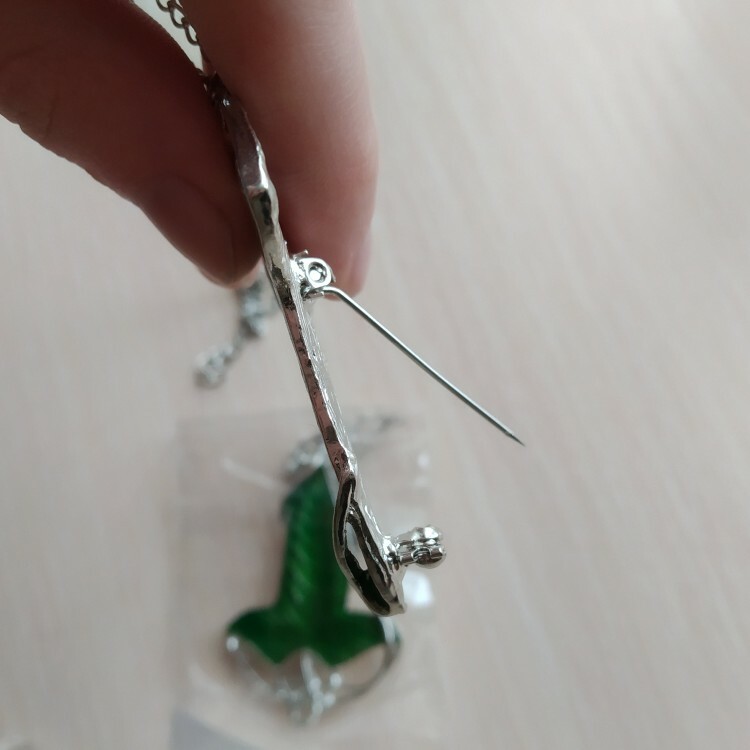 medium speed shipping, but excellent for price! about 25 days to USA. Just like as the description. 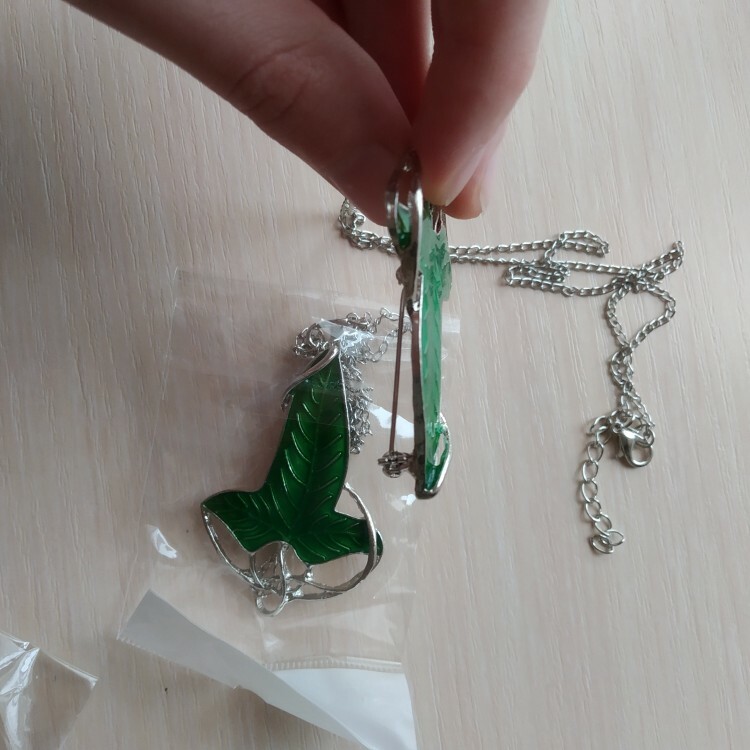 In fact; the silver parts on the green area are more than the the picture. 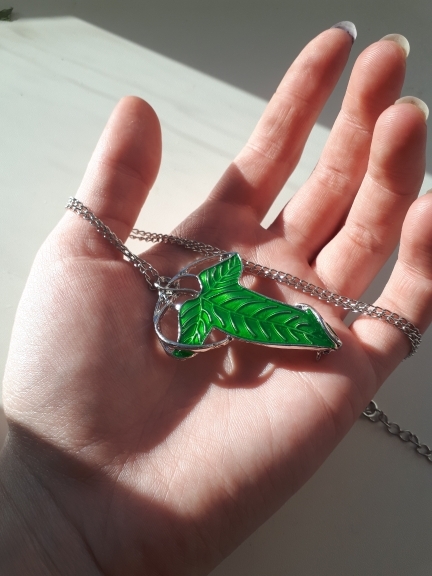 So in a way, it is a little better than the picture. How beautiful. It's really worth your money.